helping out a friend to identify such beautiful flower. This plant is not an orchid — it's an iris! 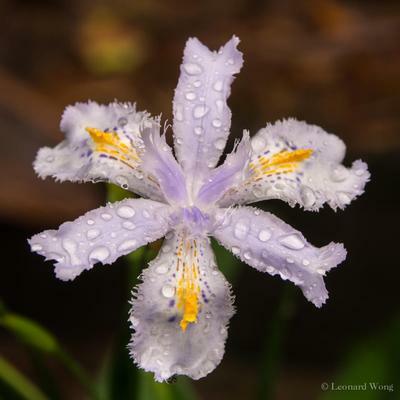 The iris family is a somewhat close relative of the orchid family: both are in order Asparagales, along with daylilies, bulbs, Hostas, and many other familiar plants. I don't know how do you do to make such an accurate replies so fast! You're such an orchid savvy! looks like Iris japonica to me.